Your bank wants you to go paperless. You child’s report card is paperless. Retailers want to email you receipts rather than printing them at the register. Your students want to use their mobile devices for everything. So what about your classroom? How are you managing your teaching lessons? Are you paper or tech? Blended or 1:1? Whether you are all in for going paperless, you plan on it, or you just can’t seem to head in the paperless direction, Earth Day is typically the time when we all think about our environment, energy, recycling, preserving our resources, and eliminating waste. That’s where our English language arts blog link up comes in. Using technology in your classroom will definitely cut down on your trips to the copy machine. Sharing an assignment with your students via a cloud storage system (Google Drive or One Drive), an educational app (Notability, MS OneNote, Edmodo) or a learning management system (Canvas, Google Classroom, Microsoft Classroom, Blackboard, Schoology) will allow you to explore auto-grading, self-calculating rubrics, opportunities for student collaboration, and increased student engagement. Paperless classroom facilitation is also very low-prep. Teachers are saving prep time by not photocopying or filing endless stacks of paper. Wouldn’t all teachers love that? 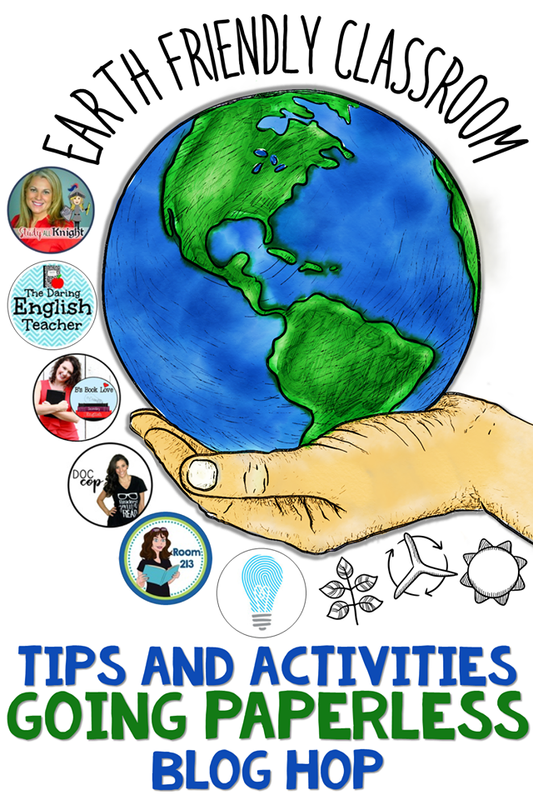 We’ve put together a collection of blog posts to give you some Earth Day inspiration for your upcoming lesson plans.